The film follows six surfers along with adventure photographer Chris Burkard and filmmaker Ben Weiland as they seek out unknown swell in the remote fjords of Iceland's Hornstrandir Nature Reserve. Chartering a boat, they depart from Isafjordur on the cusp of the largest storm to make landfall in twenty-five years. With the knowledge that storms bring legendary swell the crew are optimistic, but face failure when the storm forces them back to shore. Making the decision to carry the expedition on by road they experience the brutality of Iceland's winter and begin to question if searching out the unknown is worth risking their lives for. Despite setbacks the team pushes on and finds that uncertainty is the best ingredient for discovering the unimaginable. 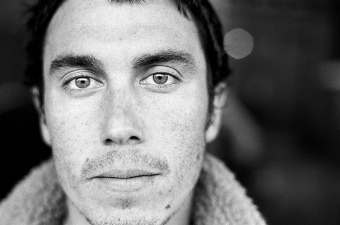 Chris Burkard is an accomplished explorer, photographer, creative director, speaker, and author. Traveling throughout the year to pursue the farthest expanses of Earth, Burkard works to capture stories that inspire humans to consider their relationship with nature, while promoting the preservation of wild places everywhere. Chris has directed both commercials and the documentary films On the Road Series, The Outpost Vol. 1: Russia, The Outpost Vol 2: Faroes.